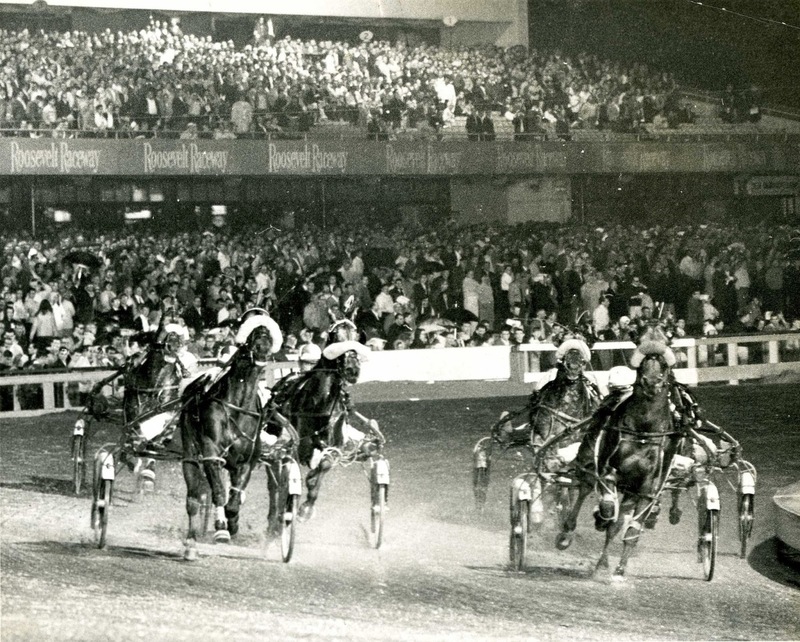 The Meadowlands attempts another launch of its Super Bowl series for trotters. Last week the four divisions were carded on a program cancelled due to bad weather. Hopefully, this Jan. 9, Mother Nature will accommodate the beginning of the tough series. The deep freeze is closing tracks even as I write. On Tuesday, Jan. 7 the only harness track open is Dover Downs (and it’s early yet). However, the forecast for Friday promises a virtual heat wave, with temperatures in the 30s. Is it time for short sleeves? Buffalo Raceway delayed its opening of a new meet due to weather and launches this week. Cash a winning ticket in the $5K guaranteed Pick 4 on Wednesday at Buffalo and you'll earn a bonus equal to 10% of your gross winnings! We ensue with the hope that all things being equal we’ll have a healthy menu of racing this weekend. We target four overnight events that may be profitable, using as many raceways, which we have chosen while monitoring our horses-to-watch (H2W) list. That exclusive feature offers hot contenders, all candidates for win, place, show and exotics, and offers its latest edition below. The Super Bowl series at the Meadowlandsbrings together three- and four-year-olds to begin the 2014 season highlighted events as the 2014 season goes into week two. The conditioned trotting event has four divisions in its first preliminary on Thursday, Jan. 9. Team (Ron) Burke’s new acquisition of Time To Quit will have the bettor’s support in division one, showing massive improvement after moving to the barn from Illinois. With the public caught in a trance of speed, it may ignore classy Deacons Valley. Shipping in from Dover, he has been competing against the company of non-winners of five races lifetime. He has won four of his last six starts and should get a nice trip to upset the favorite. Division two highlights the Burke’s other acquisition, Cocotier, attained from Illinois-based Homer Hochstetler. Cocotier is dropping in class after racing against non-winners of three, where he faltered against that group last week. Just because it is a new starter from the Burke barn, we will not be fooled by a lack of alue. This is a mile where we can see a monumental upset, as well as the right preliminary. Making his first start on a mile track, as well as for trainer Scott DiDomenico, The Manipulator has an opportunity to stun the crowd. He has raced a majority of his life on a half-mile oval, being a victim of the draw as well as going an extra 16th of a mile at Yonkers. The gelding is adding Lasix for the first time and should be positioned well in the mile to pull off a perfect-storm toteboard explosion. The third division features a possible contender for the Hambletonian Oaks, Donatella Hanover, a Jimmy Takter trainee that hadn’t seen the races until November of last year. She is coming off of an eye-catching 1:53.3 second-place effort to Time To Quit, so she’ll take the money of the speed lovers. Meanwhile, coming from post four is Kentucky-bred Clementine Dream. Two starts back she went her first mile after a two-month absence and finished third from post 10. In her second outing a week later she had no opportunity to get into the race, being interfered and going off-stride as the public choice. She deserves another opportunity and may be the only threat in this mile to Donatella Hanover. Ray Hall will be an overwhelming choice in the final division, recovering from a bad break to finish second against non-winners of three at the Meadowlands two weeks ago. To his inside comes a Canadian invader JCs Jake. 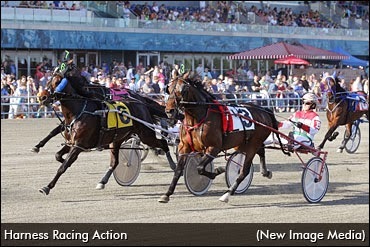 While racing in the Great White North, JCs Jake was competing against the higher level of non-winners of two, at Woodbine, where he parked badly to Fork, a horse that has been racing well on the WEG circuit, then raced well the next week on a night where more than cats and dogs were falling from the sky. He received a few weeks off after his mucky mile last time and draws the rail in his Meadowlands debut, which can never hurt. Here is a typically predictable field at the Pittsburgh-area track, where star-driver Dave Palone picks up the horse with the seemingly best past performances, gets a morning line of 2-1 and will probably be sent off far less than that from a crowd that applies much of its handicapping weight on the driver. Granted, Artist Night (Palone) has won two straight at this track but being a proverbial underlay, we look at what the crowd may ignore considering its uneven appraisal of Palone. What we find is the shipper from Northfield, Machal Angel. The speedy son of Mach Three comes to town having been supported well due to a flashy style among winners. The smaller purses are not due to class as much as to circumstance (Ohio is just starting to get aid from casino plays which will increase their purses to levels much like the Meadows enjoys). His speed can be regulated to sit behind a rushing Artist Night or he could park the little devil and ruin his mile without suffering from a duel. Either way, the price should be right with chances greater than the odds the public will provide. The other outside contender who should be considered in exotic plays is Mattacardle. In the ranks of this class, which he drops back into here, his route from post 1 may be the key to a second or third. If Palone is squeezed out of the exacta with our two choices, look for a huge exacta. An octet will line up for this $20,000 Claiming Pace, a race that looks to be anyone’s mile. From the rail comes Mcstraight, dropping down in class after flying around the Yonkers’ oval against non-winners of $12,000 last six. He can be exempted from his start before that, although his post 8 effort was rather valiant, riding cover and rushing up to the leader three wide. The rail should benefit this gelding as long as he can ration his speed. Underneath, his neighbor Big Unit ships in after an unsuccessful outing at the Meadowlands. Throwing out that mile, he has been very consistent against similar company and finally draws towards the inside. He should leave and if given a pocket trip, will hit the board. Goose Creek has the opportunity to hit the trifecta, making his first drop in class at Yonkers. He had been burdened with bad posts against $25,000 Claimers and the one time he did draw well, he parked. He’ll be a great price and could even sneak up for second, so keying him with Big Unit is a must. Since holding their grand opening, the New Meadowlands has proven to be one of the toughest venues to wager, even harder than when the ABC-system was first implemented. This B-2 Pace proves the conundrum that handicappers endure, with every horse having a shot to enter the winners’ circle. Digging deep between the lines, this race sets up for a closer, with Silent Swing being an obstinate leader; not wanting to relinquish the lead regardless of his remaining stamina. Mattador D, who races on the lead frequently, will have to gun from post 10. Then there are Cam B Zipper and Cole Heat, who generally make their moves towards the front during the backstretch journey. Now, with a closing scenario likely, one horse who stunned the Big M audience almost a month ago at 92-1 has a shot to win again, maybe not at that price, sadly, in his drop from B-1 company. Bolder has been a foe to some real classy horses in his last two outings, including comeback-kid Hypnotic Blue Chip and current A-2 pacer Road Untraveled. He has showed some effort from off the pace but the class drop and post 5 will definitely benefit him. Last week we endorsed Hold Her Tight in this group and the program was cancelled. We find her in a similar situation this Monday and support her again. Hold Her Tight’s first race at Monticello after competing regularly at Saratoga can be tossed out due to an early misstep that eliminated her. The Kadabra mare comes from “winners-of” affairs and reeks of excuses racing against better trotters. She was a sold dead-heated fourth at 26-1 before coming to Monticello; she was buried the race before that at 16-1; and the two before that include a poor showing from post 8 and a break at the start from post 8. On Nov. 17, in a class better than this race, she was sterling, dueling from the outside, taking the lead and just missing at 4-1. She should be a fine price today and if she trots smoothly to her best she should result in victory.